Please note this gig has changed from Friday Dec 8 to Saturday Dec 9 due to circumstances beyond our control - contact Dizzy's Jazz Club for further details regarding ticketing. Lauren Nottingham is a New Zealand singer with a multifarious background drawing on a diverse stylistic palette of music including Jazz, Progressive Rock, Choral music and Contemporary Pop. Having recently returned after an extended spell in Berlin, she began collaborating with UK pianist/composer Mark Donlon resulting in the album Shadowbird (Fuzzymoon Records UK). 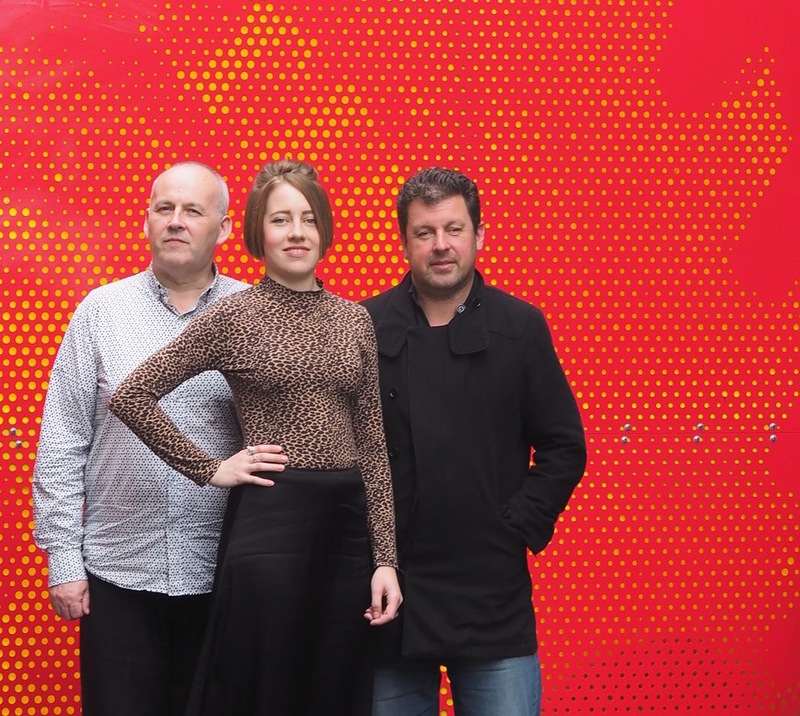 Tonight’s show will feature Jazz from a dazzling variety of genres, languages and cultures from German Gypsy Jazz to re-interpretations of songs by Madonna and David Bowie and original compositions from Shadowbird. Don’t miss this dynamic international collaboration. Lauren’s serious interest in jazz began in 2011 after she won the award for Most Outstanding Vocalist at the inaugural New Zealand School of Music (NZSM) Jazz Festival. This led her to study Jazz Performance at NZSM from 2012 – 2014 where she established a profile as a promising young musician. Alongside her love for Jazz is her love for choral singing. Lauren was a member of the 2014–2016 New Zealand Youth Choir and participated as an Alto Leader in their European Landmark Tour last July. The choir won the Grand Prix in the 2016 IFAS competition in Czech Republic as well as all four categories in which they competed. Other recent projects include featuring alongside acclaimed Australian saxophonist Jamie Oehlers in Mark Donlon’s latest album release Shadowbird, and releasing a debut album as the lead singer of Math Rock/Jazz Fusion band MultiPlayer - a band showcasing the original works of Californian Jazz pianist & songwriter Matt Sagen. After spending the past year living in Berlin, Lauren is back home continuing to develop her own musical collaborations. Lauren has received numerous scholarships and grants from the Dame Malvina Major Foundation, Taranaki Community Trust, and the NZSM Director’s Scholarship. Mark Donlon is a renowned British pianist, composer and educator currently based in New Zealand. He is an Associate of the Royal Academy of Music (ARAM). Recent and upcoming album releases include Southern Shift, which is an album of improvised solo piano pieces and Between Moons - a duo album with New-York based, Grammy Award winning trumpeter Alex Sipiagin. 2017 will see the release of Tales From The Diaspora - a quintet album recorded in New York featuring Seamus Blake, Alex Sipiagin, Boris Kozlov, Mark Donlon on piano and Donald Edwards on drums. 2016 saw the release of the debut album Shadowbird by his Australasian group, which features Australian saxophonist Jamie Oehlers. He has performed with artists such as George Coleman, The Machito Orchestra, Maceo Parker, Dave Valentin, Dave Liebman and Kenny Wheeler to mention but a few. He moved to New Zealand in 2013 to take up the post of Head of Jazz at the New Zealand School of Music, where he teaches Jazz improvisation and Jazz piano along with being a busy performer.